At DDNet we have a commitment not to cover Bethesda, because of the way that it handles its media relations. 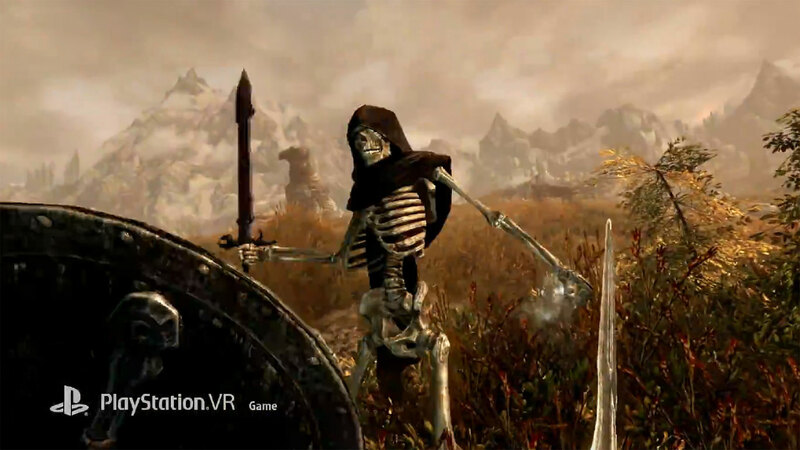 That commitment stands until Bethesda changes its policy on interacting with the media, but with Skyrim VR, I do feel the need to make an exception to the rule, because I do feel this particular game is so important to the development of VR technology itself – and that’s something I do care about a great deal. I’m generally a fan of the Elder Scrolls titles, and it’s because they promise that real sense of adventure and exploration; the idea that you’re free to do whatever you like – be that follow along with the core narrative, or step out and write your own stories. You can destroy towns that you come across long the way, or you can help them out with their problems. You can join guilds, or be very much the lone wolf type. Indeed, with all the Elder Scrolls games I’ve found the main narrative itself to be the distraction. What did I actually like doing? I liked collecting books. No, really. In every Elder Scrolls game I amassed an incredible library, and became really good at the stealth skills, which allowed me to steal rare books from others. Everything that the Elder Scrolls does best, VR fundamentally enhances. It’s one thing to be staring at your TV as you edge your character over a mountain crest to observe a city sprawled out before him or her, and all the adventure and intrigue that promises. It’s entirely another thing to physically turn your head around to observe the vast plains in front of you. Similarly, it’s one thing to be creeping through a dungeon carefully sniping down the undead, demons and worse. It’s quite another to be genuinely immersed within the space, physically aiming that bow, and then finishing the battle in melee, holding that sturdy shield in front of you as arrows rain down on you from an enemy standing on a crumbling overhang. 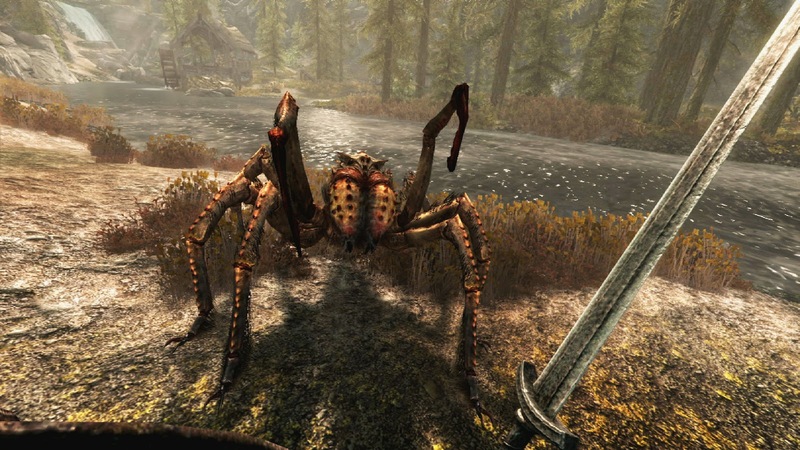 I like to think I have a pretty vivid imagination, and Skyrim VR is the realisation of what I visualised from many years when I was playing Dungeons & Dragons obsessively. I felt the enormity of the open world around me, and then the claustrophobia of the tight corridors of a dungeon. I felt vertigo when I found myself high on a cliff edge, and was genuinely surprised when I didn’t feel wet when I went for a swim in the game. VR has promised level of immersion, but previously the VR experiences actually developed have been typically more limited or experimental in design. And that’s fine! I’ve been very happy with my time with PlayStation VR to date. It’s just that Skyrim fills that gap for a fantasy RPG adventure that I have been really looking forward to since getting the unit. There are some limitations on the game. For a start, it’s certainly not the best looking version of Skyrim out there. In fact, textures, lighting and character models have dropped back to being somewhere between what Morrowind and Oblivion offered, a few generations ago. It (obviously) hasn’t affected my immersion within the game, and I’ve been more than happy to make the trade-off, but it’s notable. More significant is the extreme pop-in. Having textures render right in front of you does break with immersion. Though even then, after a few hours of being in the world I stopped noticing and/or caring. It’s also worth noting that people who experience motion sickness will not get on well with this game. It’s taken me a while to get comfortable with it, and very few VR games have had any affect on me. Bethesda has included a number of different options to handle movement and your ability to control the “camera” independent of your head movement in a bid to give as many people a sickness-free experience as possible, but the fact remains that either the technology isn’t quite up to speed with dealing with motion sickness and VR, or developers have not quite come to grips with how to ensure that the motion sickness is minimised. They’ll get there, but not just yet. And as for my books… well, as odd as it might sound to take joy from reading a book in a VR space, building up a library in Skyrim has been such a pleasure. There’s a real pleasure in virtually thumbing through the pages, hearing that sound and simply relaxing between quests. It makes me wonder when a developer will come up with the bright idea of giving people a virtual library filled with real-world books and relaxing ambient sounds to kick back to and really enjoy the pleasures of reading without any potential distractions. I’ll buy that in a heartbeat. 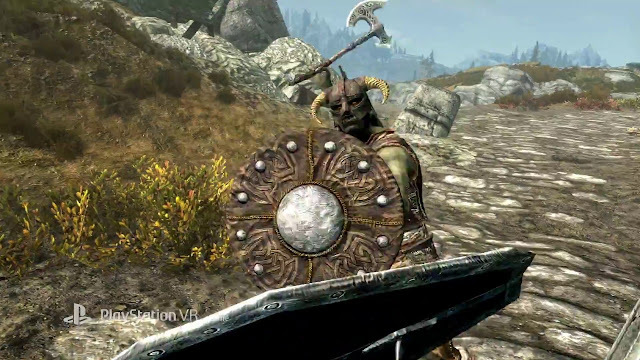 I’ve played Skyrim on four separate platforms now – PlayStation 3 and 4, Nintendo Switch and VR, and this is my favourite version, by a very long way. 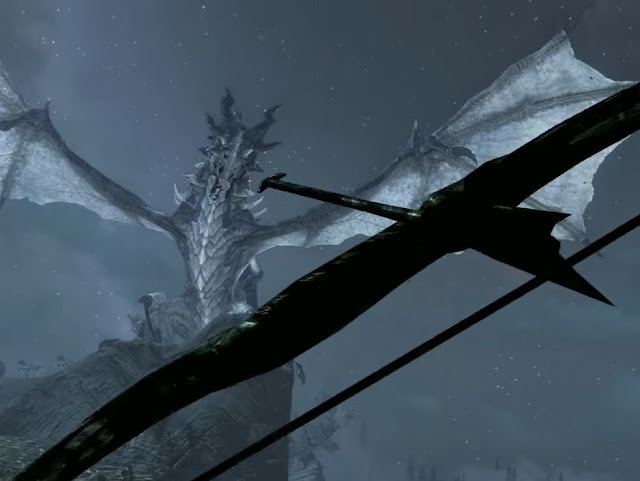 The VR gives you a fundamentally different perspective on the world that makes cities feel more alive, grand sculptures feel more imposing, crypts feel more dangerous and, of course, those dragons are so incredibly huge that they feel more intimidating. I keep using the word feel because the impact of the game has been more about its feeling than anything else. And hey, it made me feel enough that I actually wrote about a Bethesda game again. I’m not going to review it, but if the existence of this article is not proof enough this thing had an impact on me, nothing is.